Until January 1st, you can get 25% off the cover price (usually $9.95) using Discount Code BBXMAS25 which will bring the price down to only $7.46 USD. Simply enter this discount code when buying your eBook package before January 1st to receive Building Websites with Blogger for this price. 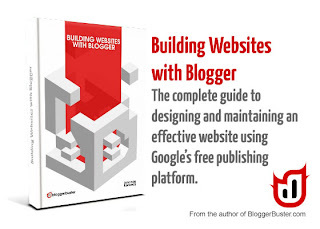 Full details of Building Websites with Blogger can be found on the eBook page. I'd really appreciate your feedback for Building Websites with Blogger (particularly as this eBook will be updated on a regular basis) so please feel free to leave your comments and opinions below.